Richard Sands has over 20 years of IT risk management and security experience. He has served as a compliance security analyst and has performed numerous IT security assessments and reviews in multiple industries, including healthcare, insurance and financial services. Richard has numerous professional certifications: certified information systems auditor (CISA), certified information security manager (CISM), certified in risk and information systems control (CRISC), certified internal auditor (CIA), and IT infrastructure library (ITIL-F). Richard is based in our Tampa headquarters, but leads our project teams wherever they are engaged. 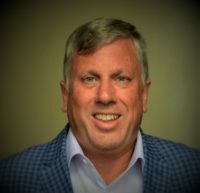 Thomas Smith will lead the business development and strategy operations of Eminere Group. 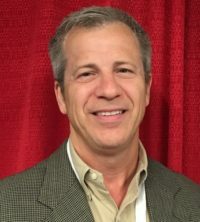 Tom also brings over 20 years of experience to the team in roles ranging from Program Manager for large system integration projects to Sales Director to Global Operations Executive. Tom has MBA and Juris Doctor degrees and a wealth of experience in Financial Services, Higher Education, Publishing, Pharmaceuticals and Supply Chain management. He will function as our Chief Customer Experience Officer, ensuring that your interactions with Eminere Group deliver the value you expect. Tom will split his time between headquarters and our new middle-America office in Little Rock, AR when he is not with clients. Please join us in welcoming Richard and Tom to our team.